WHO: Dominic Santana (Lionsgate “All Eyez On Me”), Vanessa Esparanza (CSI New York), Australian Actor Alex Cubis (Netflix/Disney Channel hit “Mako Mermaids”), Australian Actor Caitlin Ashley Thompson (MTV’s “Scream: The TV Series” Season 2), Casting Director Leah Daniels-Butler (FOX’s “Empire”), Award-Winning Actress Edwina Findley (Tyler Perry’s “If Loving You Is Wrong”), Ruth Connell (CW's “Supernatural” / new movie “For the Love of George”), Tehmina Sunny (CBS TV show Training Day), Kelly Perine (UPN's "One on One / BET's "Let's stay together"), Ryan Ochoa (Disney’s “Pair of Kings”), Brandon Tyler Russell (UPtv’s “Beverly Hills Christmas 2” / Nickelodeon’s “Instant Mom”), Zachary Haven (Warner Bros. new film “Bastards”), Akinyele Caldwell (Disney’s new movie “Magic Camp”), Maya Jade Frank (Disney's Bizaaardvark), Jay Lewis (Nickelodeon's "Just Jordan"), Khleo Thomas (CBS “CSI”), Laura Linda Bradley (Amazon’s “The Laura Show” Season 2), Ieva Georges (CBS “Criminal Minds), Dalton Cyr (Freeform’s Pretty Little Liars), Nadia Jordan (Actor/Producer of new movie “For the Love of George”), Dianna Cruz (Disney XD’s “Kickn’ It”), David Bianchi (Netflix’s “Lazarus” / HBO’s “Westworld”), Jessica Mikayla Adams (ABC’s “Alex, Inc. / NBC’s “Good Girls”), Rory Ogden (ABC’s “WWYD), Sara Barrett (CBS “Criminal Minds”), Tatyana Figueiredo (Actress/Model/Former Miss Brazil), Frankie Blair (Lifetime’s “Disturbing Intentions”), and many more. WHAT: The 3rd Annual Real To Reel Global Youth Film Festival returns on Saturday, October 7, 2017 at the Los Angeles Film School, 6363 Sunset Blvd, Hollywood, CA. Spearheaded by Founder/Executive Director Syd Stewart and 23-year-old Executive Producer Johna Rivers. 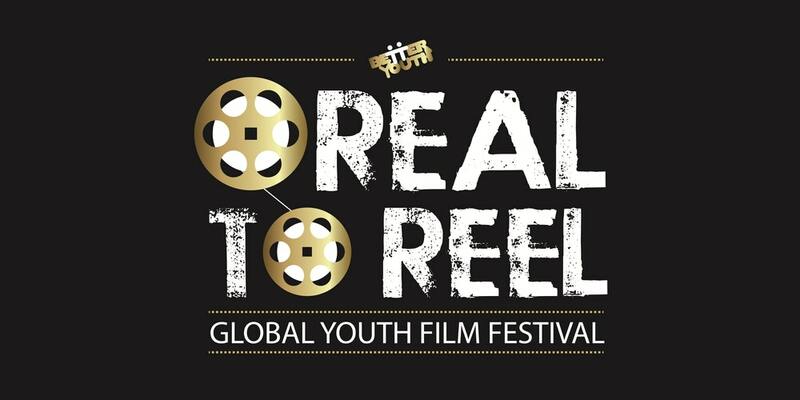 REAL TO REEL: GLOBAL YOUTH FILM FESTIVAL is designed to honor youth between the ages of 14 to 24 years of age who make original and unique film projects that address social issues plaguing their local or global community. Issues like homelessness, foster care, race relations, police brutality, immigration, sexual identity and more. The festival is hosted annually at the Los Angeles Film School in October and is a community-based youth program powered by Better Youth, Inc. Connecting today's technology with tomorrows arts leaders. 25 spots available first come first serve!!! 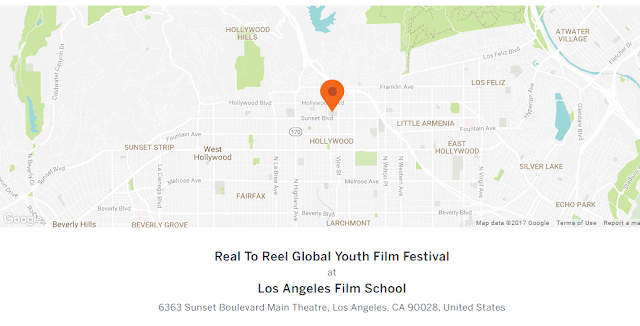 The festival is known for showcasing a diverse slate of films by filmmakers ages 14-24. With over 300 competitive submissions, the festival will feature a diverse slate of 20 short films by youth filmmakers from 52 different countries and territories. 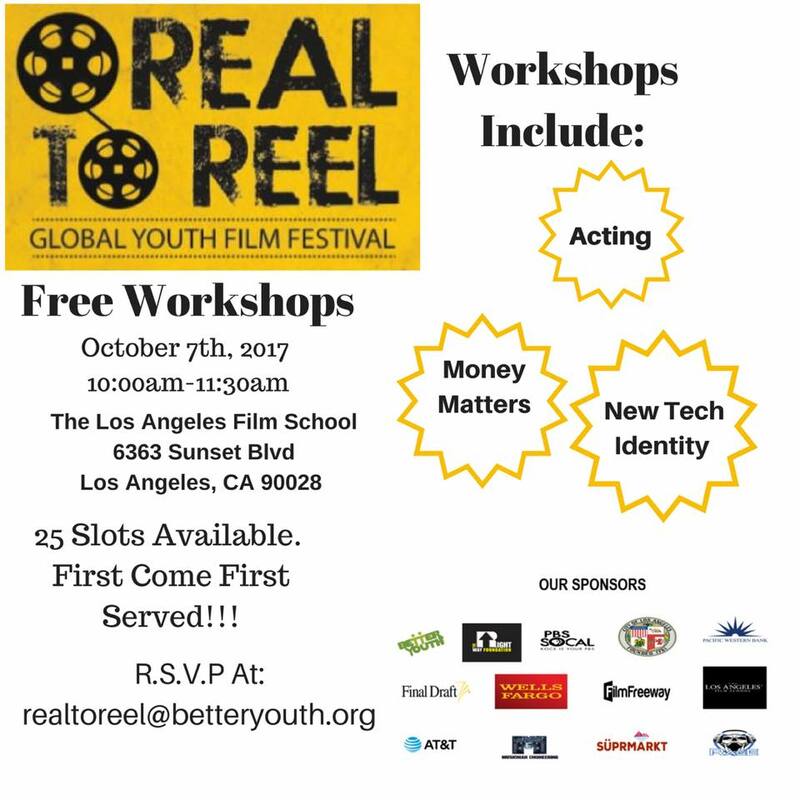 During the festival there will be acting, new media, financial literacy workshops, filmmaker panels featuring industry professionals, producers and film financing experts. 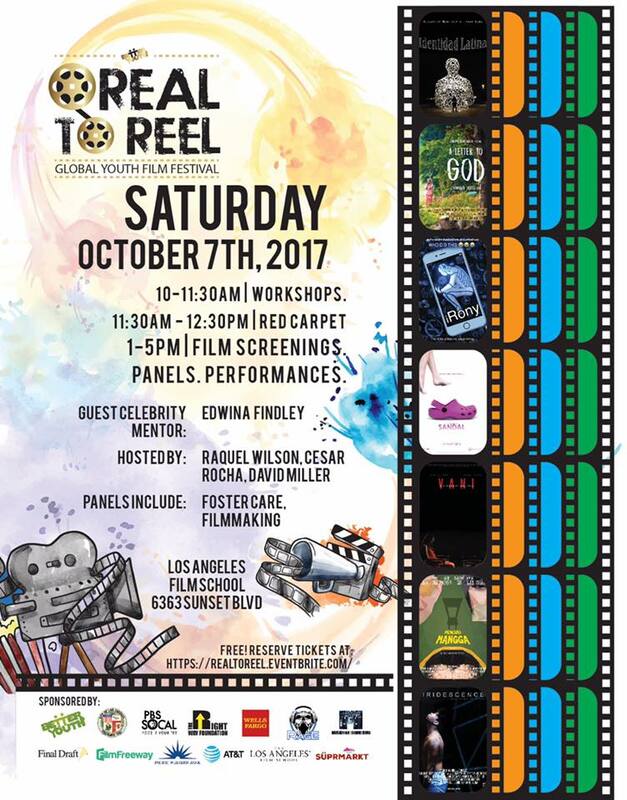 Tickets to film screenings, filmmaker panels and all workshops are FREE with online registration through Eventbrite at https://realtoreel.eventbrite.com/.